Our staff keeps good contact with local herdsmen families, who are living in Gobi desert area, in mountainous area and in middle part of Mongolia. 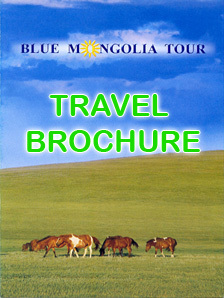 Therefore, we are able to arrange special home stay arrangements in Mongolian nomads Ger. The home stay arrangement consists of following steps: taking you to nomads home - Ger, helping you get introduced with the family members, explaining nomads about your interest and schedule, preparing your beds as comfortable, provide you with the necessary food products. The travelers are able to stay in families of horse breeders, shepherds men, yak breeder's and camel breeder's families. Horse breeder families are living mostly in middle part of Mongolia, so in average it takes 1 night and 2 days trip to the families in one way. Yak breeder families are living in Khangai mountainous area in Ovorhangai and Arkhangai provinces, so it is required to drive 2 nights and 3 days to there on unpaved road. Camel breeder families are living in Gobi desert area, so it is easy to get there in an airplane and then driving in a few miles in Gobi desert. Shepherds men are living in all of the places in Mongolia, so it is possible to home stay in families, which are living quite close to Ulaanbaatar. It depends on your interest. Mongolian countryside is very safe and peaceful place for traveling and relaxing and nomads are very hospitable. Therefore, during the home stay trip travelers will have nice chances to feel free and to experience the nomads' lifestyle, try Mongolian meals offered by hospitable nomads, riding on Mongolian strong horse or kind Bactrian camels, playing Mongolian traditional games and relaxing in quiet wild nature.